One of many Kool Keith alter-egos. Fictional Character Biography Dr. Dooom is a depraved serial killer. Like Patrick Bateman from American Psycho, he displays behavior symptomatic of both psychosis and psychopathy. He also appears at times to realize his own insanity but is either unable or unwilling to control his homicidal urges. He is notable for murdering, then resurrecting, then once again murdering Dr. Octagon; for his great contempt and hostility for American Idol host Simon Cowell; and for his general fondness for cannibalism, pet rats, and Flintstone's vitamins. Dr. Dooom is a depraved serial killer. Like Patrick Bateman from American Psycho, he displays behavior symptomatic of both psychosis and psychopathy. He also appears at times to realize his own insanity but is either unable or unwilling to control his homicidal urges. 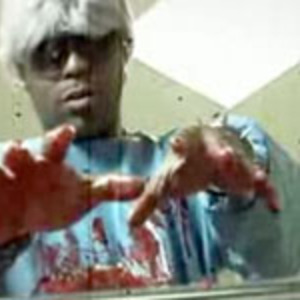 He is notable for murdering, then resurrecting, then once again murdering Dr. Octagon; for his great contempt and hostility for American Idol host Simon Cowell; and for his general fondness for cannibalism, pet rats, and Flintstone's vitamins. At one point he ran a meat market behind Johhny Rocket's but is now a proud welfare recipient.